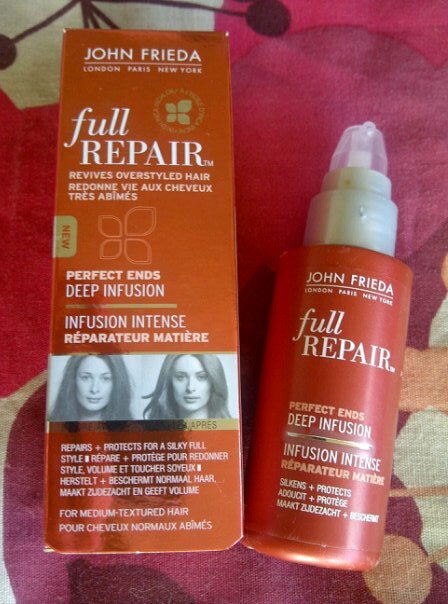 Meg's Boutique: It's a Love Hate Thing: John Frieda Full Repair Deep Infusion and Styling Spray Review. 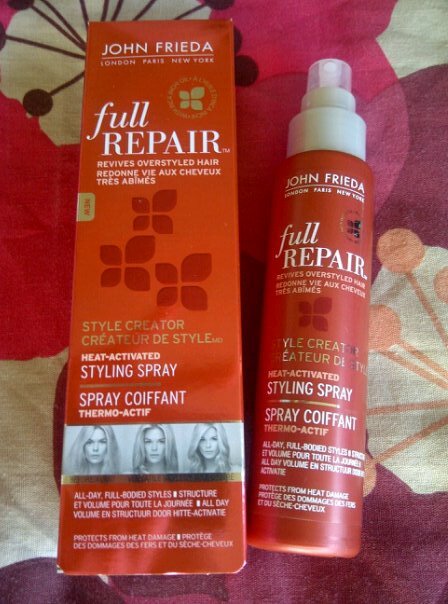 It's a Love Hate Thing: John Frieda Full Repair Deep Infusion and Styling Spray Review. Now onto the hate part of this post and I'm afraid it's about the Heat Activated Styling Spray. I was so excited to try this product as it's a spray which not only acts as heat protection, but is also meant to keep your heat styled hair in place for longer. As I always find any curls I put into my hair with my ghd's just fall out again very quickly I had high hopes this would keep my curls going all day or night and I was incredibly disappointed when they seemed to fall out even quicker than before! I have tried this many times and I can honestly say it's never helped to keep any style I've created through heat in tact for longer. Really not even worth the £5.99 for 100ml I paid, although I suppose that's an okay price for a heat protector. 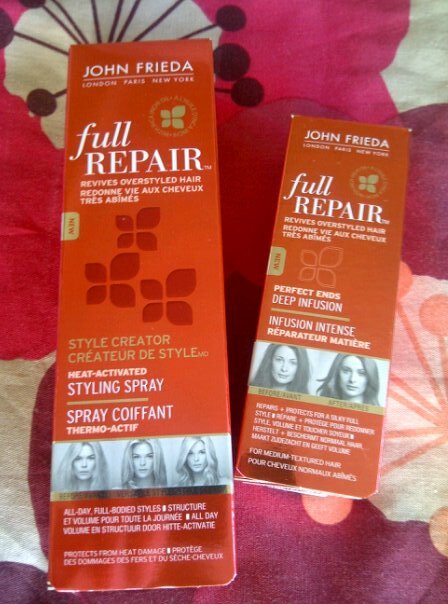 Have you tried anything from the John Frieda Full Repair range? Have you found anything that keeps your curls in place all day? I've had such a perfect couple of days as me and my family and boyfriend went down to Portsmouth to see my sister in a show last night which was amazing and it was so good to see her. Then today we went to the sunny beach in Portsmouth and I relived my childhood a little bit with candy floss, 2p machines and crazy golf, just wish I'd put some sun cream on as I'm now sporting some very special strap tan/burn lines! I was given the whole range to try, and I loved it all, especially the conditioners. The styling products are definitely best used with heat, and they can get sticky so I just use a tiny bit. Actually, I've finished everything now, but I'd buy the range myself. P.S- I've voted for you in the Cosmo awards. Good luck! Are you looking for bike transportation services in vijaywada ? If yes then Dealkare is the right place for that at here you will find top transportation companies.